If you are the university or college students,please show us your studen’t I.D.card. Please do not touch the works of indoor art. No photographs or videos inside the Museum are allowed. Large objects like umbrellas (except collapsible ones), backpacks and large bags are prohibited. No animals, except guidedogs, are allowed. 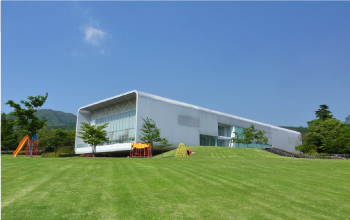 Thank you for helping us protect art and ensure everyone’ s enjoyment at the Kirishima Open Air Museum!